Recently, I was invited to shop at my local DressBarn. Since it is located where I normally do not need to go to run errands, I have never visited before. I had no expectations about what I would find . . . well, aside from dresses. However, I was hoping to find one or two things I could wear during the BlogHer convention this year. I was very pleasantly surprised when I walked into the store. All the women's fashions, both casual and dressy, had an elegance to them. Many of the pieces had embellishments on them, which really is not my style, but there were more than enough things that did suit my taste. I saw a lot of basic must-haves for the summer months, such as lightweight tees, bermuda-length shorts and capris, but I do think DressBarn is the place to go if you need to dress nicely for work or an evening out. I found a beautiful top that I cannot wait to show off at one of the BlogHer events in August. Oh, and did I mention they have shoes and purses too? For a limited time, DressBarn is giving away one of these brightly colored roomy straw totes with each purchase of $100 or more . . . 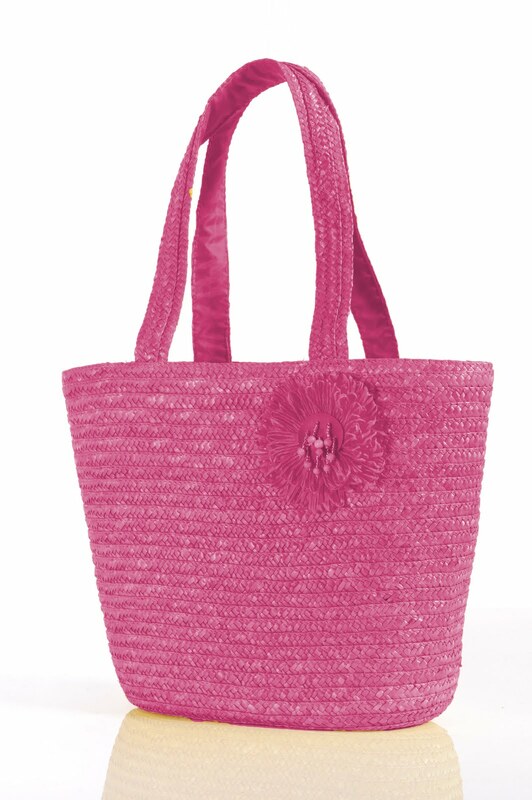 This DressBarn Summer Tote promotion continues while supplies last. 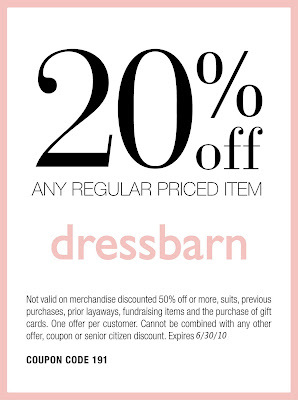 To help you out with your summer wardrobe, here is a printable coupon for 20% off one regularly priced item from DressBarn. Hurry! It expires 6/30/10. 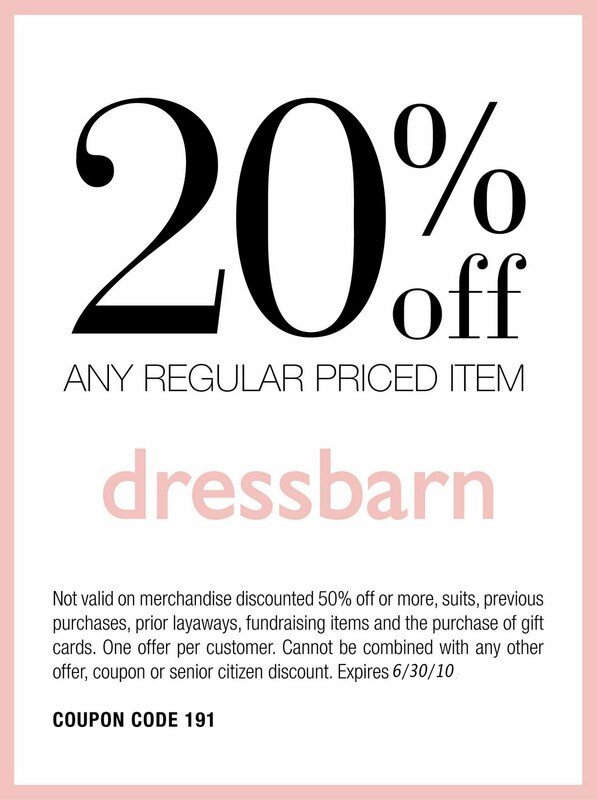 To keep up to date on more promotions like these, sign up for the DressBarn mailing list, visit DressBarn on Facebook, and follow DressBarn on Twitter. Thank you to DressBarn for sending me a sample tote free of charge and a gift card as a thank you for sharing this information with my readers and also for providing an additional two totes for our contest prizes. Two lucky readers will each receive a Straw Summer Tote in their choice of color (green, blue, pink, or yellow). Subject to availability. Leave a comment telling me where you will be toting your tote this summer, if you win this contest. You MUST do this to be eligible to win this contest. 3) For 10 extra entries, blog about this contest linking back to this post AND DressBarn.com . Then come back here and leave TEN separate comments with the link to your blog post. 5) For 1 extra entry, follow DressBarn on Twitter. Then leave a separate comment with the link to your Twitter profile. This contest will be closed on Monday, July 12th, 2010 at 11:59pm EST. A random number drawing will be held shortly after. The winner will be announced here and will be contact via email or through their blog. If the winner does not respond within 48 hours, a new number will be drawn.